It didn’t get a lot of publicity, but the theme of this year’s 2015 Mountain Hawk team was voted to be “family” by the members of the squad. And indeed, “family” was how the game felt out in New Britain, Connecticut, where Lehigh took care of business against Central Connecticut State, 20-14. The Blue Devils averaged 3,078 fans per home game in 2014. With a Friday night opening, the presence of a lot of family members, and a healthy-sized Lehigh contingent, packed Arute Field held more than 5,100 people in the stands. Everywhere you looked at the game there was family. Including my dad. It’s a season where Lehigh is supposed to be turning the page from a disappointing 2014. Every player interviewed so far has said so, from senior TE Chris Ruhl, junior QB Nick Shafnisky and the rest of the team. In a strange sort of way, 2014 was buried by a different sort of numeric combination. The Mountain Hawks would win their first game of the year by the poetic score of 20-14, in the process finally putting the final shovelfuls of earth on top of last year’s disappointing season. It’s not so much the win but the way it was won – won with a strong defensive effort that very nearly shut out the Blue Devils in the first half, won with a game-clinching drive that ate up the clock when a stalled drive might have opened the door for more, won with a kicking game that turned in critical points that were the difference between winning and losing. Last year, Lehigh found ways to lose. Tonight, the young Mountain Hawks found a way to come together and finish the game when it was on the line. Not a bad way to bury the corpse of last season. “Did you actually watch a tape the 150th Rivalry game in Yankee Stadium last November? This Friday up at New Britain, Lehigh football players and their fans will finally have something to talk about that doesn’t involve that infernal game in the Bronx last November. The Pete Rossomando era couldn’t have started much better for Central Connecticut State fans in 2014. Not many outsiders gave the Blue Devils much of a chance when they made the trip to Johnny Unitas stadium to take on the No. 7 team in the nation, Towson. Sure, they had RB Rob Holloman, an all-purpose everything back that would almost certainly be invited to an NFL camp (he was), but certainly that wasn’t enough to run with the Tigers, right? Behind a career game by QB Nick SanGiacomo, a transfer from Tulane, CCSU did indeed run with the Tigers, upsetting Towson 31-27 and seemingly announcing that the Blue Devils were going to be in stiff competition for the NEC title and a bid to the FCS playoffs. Unfortunately, that’s not how things turned out for the Blue Devils. To aid on our analysis of the visiting Blue Devils, I have to huge assist to James Madison, and Matt Straub of the New Britain Herald. Straub’s preseason piece on CCSU head coach Jeff McInerney shows a lot of what he wants to accomplish this season. You gotta give credit to head coach Jeff McInerney and the Central Connecticut State Blue Devils – they won’t back down from anybody. 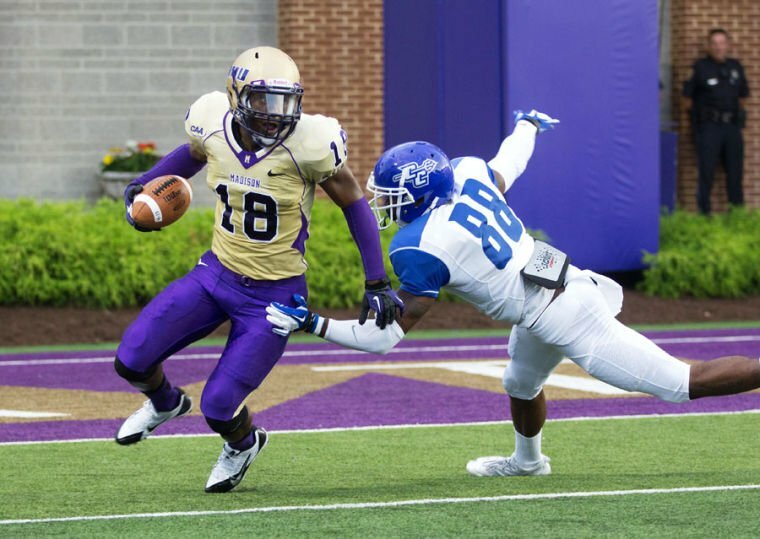 A week after taking on nationally-ranked James Madison in their home opener last weekend, CCSU turns their bus to Bethlehem to visit Murray Goodman Stadium. The Blue Devils, who struggled to a 2-8 season last year, are hoping that the old football adage is true that you improve the most from Game 1 to Game 2. That’s how they hope to break up a three-game losing streak dating from last season. 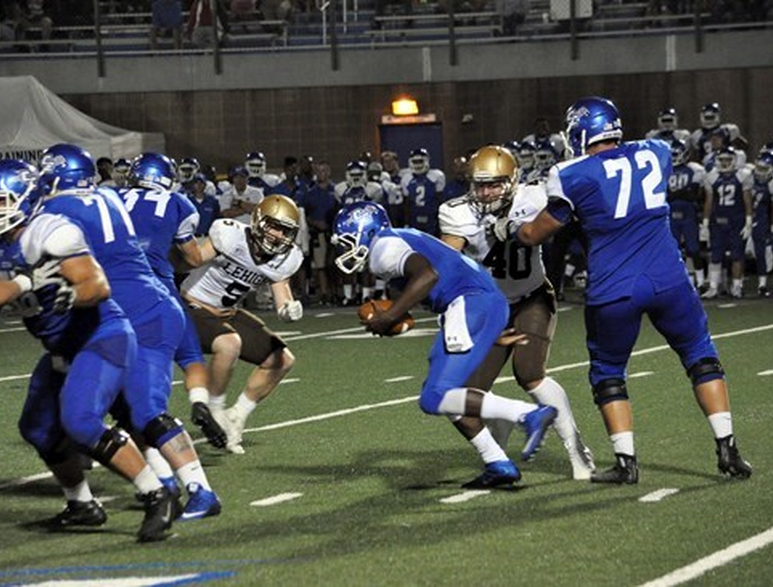 This year, the Blue Devils repay Lehigh the favor, serving as the Mountain Hawks’ home opener in the first weekend of their football season on September 7th. So what can we expect from the Blue Devils this season?